Butterfly Foral and Event Design owner Inna Savluk personally creates her bride’s bouquets with great care. The bridal bouquet is arguably one of the most important aspects of the wedding design. First, it complements and highlights the wedding dress; second, it’s the only thing the bride holds as she walks down the aisle, making it the most noticeable accent to her dress; and third, they are often preserved as a keepsake to treasure forever. 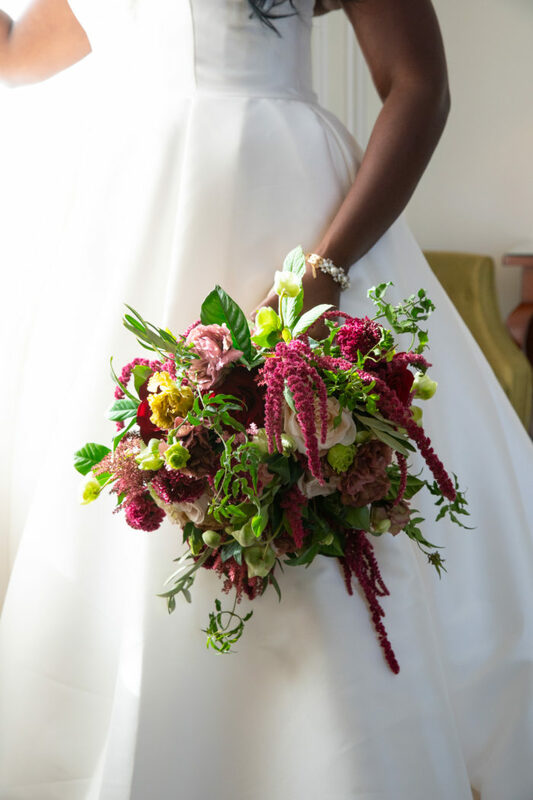 Below are some of our favorite bouquets from past weddings. 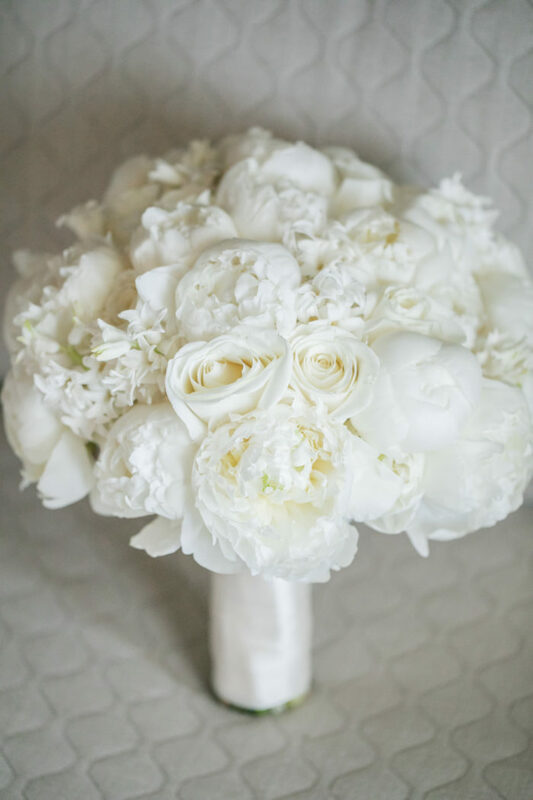 Often, brides want to stay traditional and have a white bouquet to align with their dress. This bouquet, below, features stunning peonies and roses with pops of texture for a soft yet structured shape. 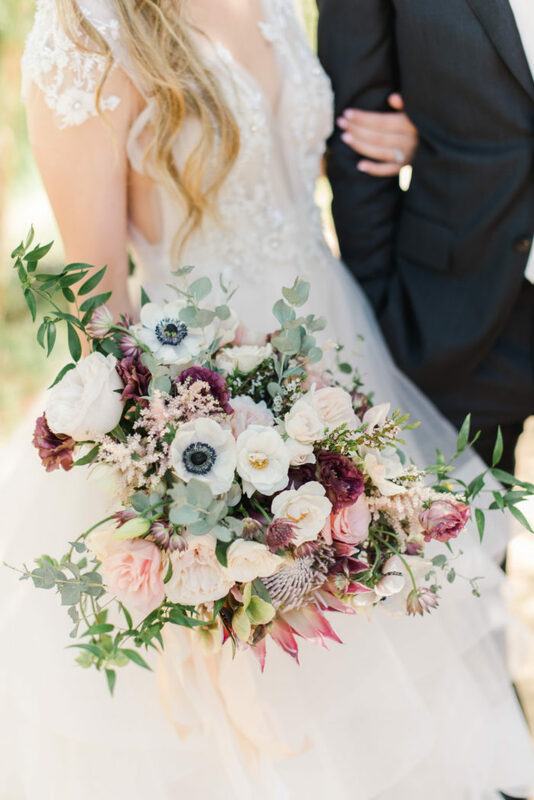 This loose, bohemian bouquet features anemones, roses, astilbe, roses, ruscus and eucalyptus greenery. The shape has tons of movement and texture, with a dreamy burgundy, pink, and white color palette. 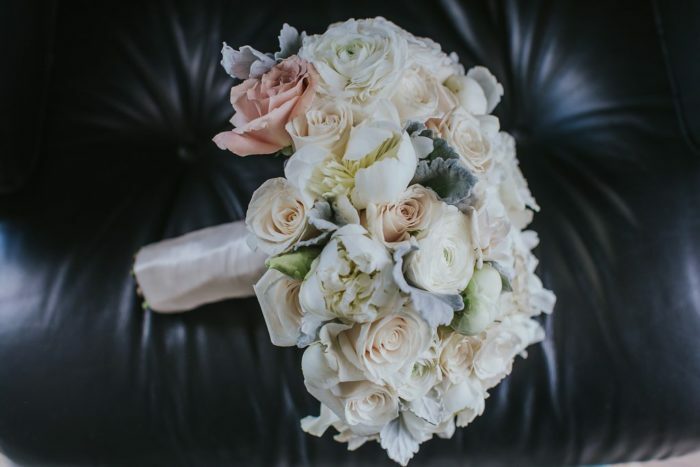 Silvery-gray dusty miller combines with poenies and roses for this textural bouquet. Photo by Shumanev Photography/Shumanev Production. 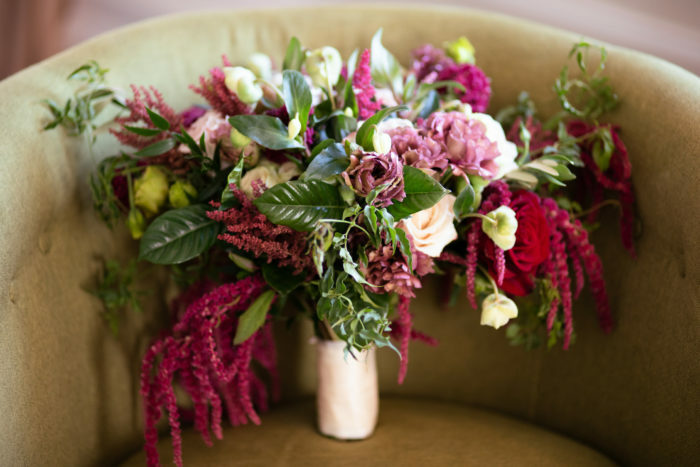 And last but not least, this unique, asymmetrical bouquet with touches of maroon amaranthus and pops of mauve roses. We love sharing our ideas and insight about how to make the bridal bouquet of your dreams – and all things wedding design! Click here to schedule a consultation and learn more about our services.